I love annual traditions. Like cooking a standing rib roast for Christmas or wearing a special birthday necklace on March 10 or lighting a small candle in honor of my Dad every November 19. But this year brings the opportunity to create a new tradition, a way to remember — and celebrate — my dear sweet Momma on her birthday, August 24. This first year, I wanted to choose a beautiful tribute for Mom that I could continue from year to year, something to look forward to annually in celebration of the blessing of Mom’s 66 years of life. 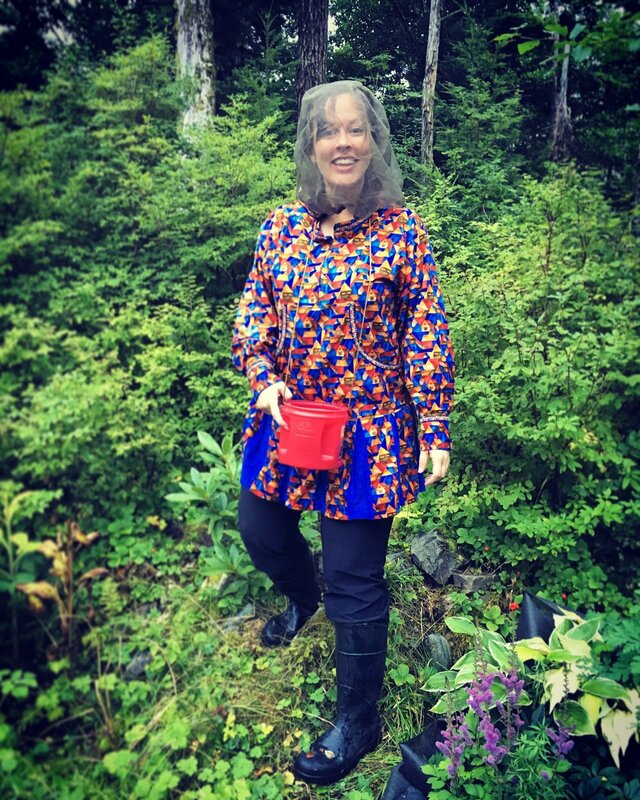 Last summer, Mom and I went berry picking together when she visited me here in Juneau. We had so much fun seeing who had picked the most berries and teasing each other about wildlife in the woods. 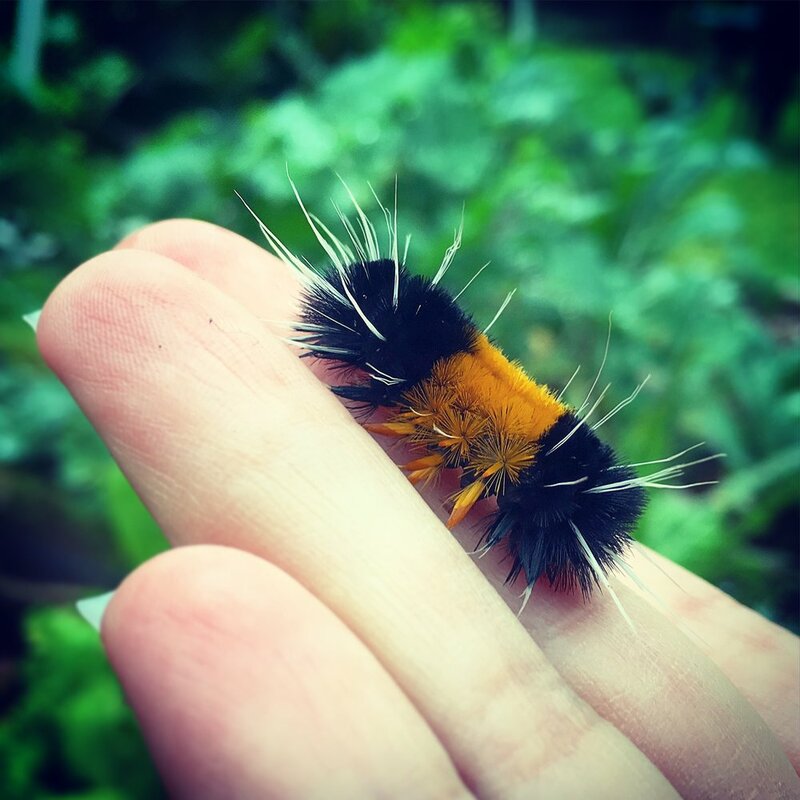 Mom was terrified of bears (caterpillars, too), and I was so proud of her for stretching outside her comfort zone and hanging out in the bushes with me. We had a blast last summer, and those are some of the memories that sustain me during these dark times. After much contemplation, I decided that berry picking would be a simple yet poignant way to stay in remembrance of my very Best Friend. Berry picking is the summer-time stress reliever that sustains the soul and distracts the mind. Plus, there’s nothing quite like the small pleasure of a blueberry smoothie during the depths of winter, once the snow has fallen and the days are short. 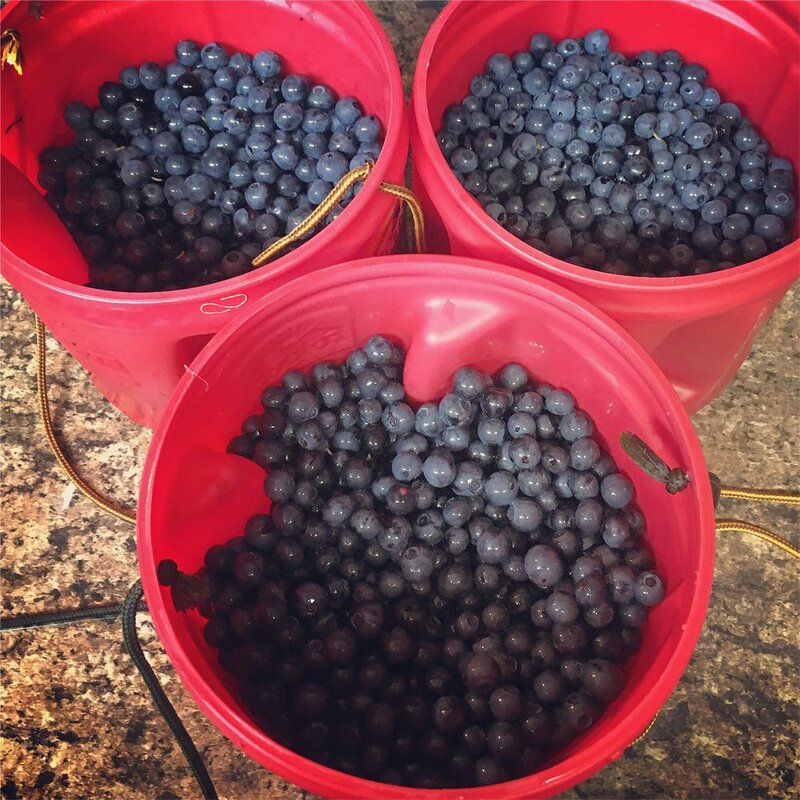 I love berry picking, partly for this reason, and partly because it’s an experience I never had growing up as a city girl in Alabama. Now, I have another reason to appreciate it more. 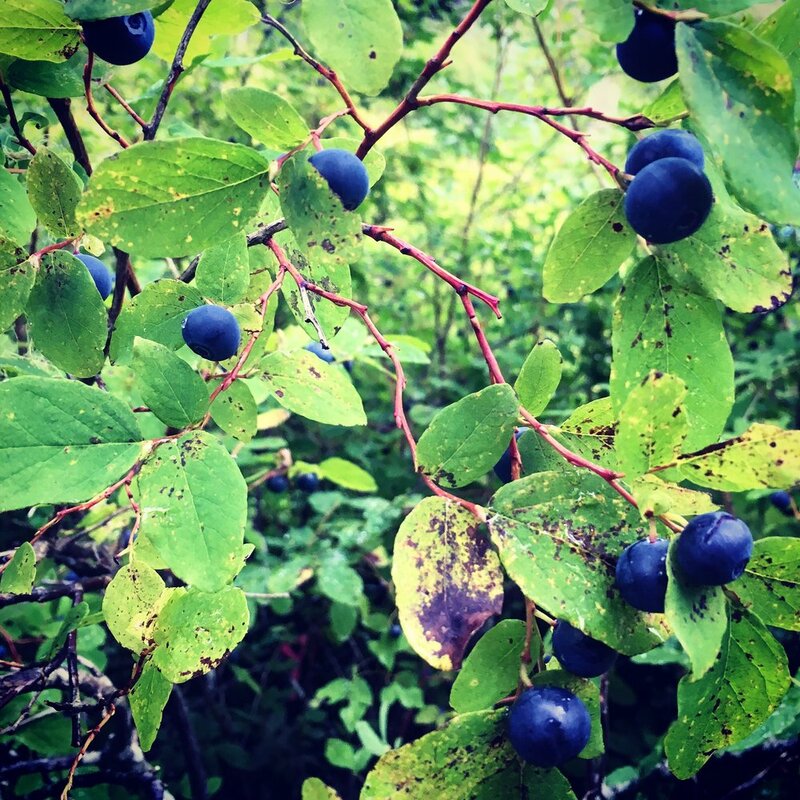 My friend, Lisa, lives “out the road” in prime berry picking territory, and this was the perfect spot to focus on this new tradition and be reminded of quality time with Mom. This was the same spot where we had picked berries in 2015, so it was even more meaningful of a location. My dear friend, Sarena, joined us and naturally livened the sombre mood. Lisa prepared an amazing meal, topped off with carrots, herbs, and garlic from her garden. 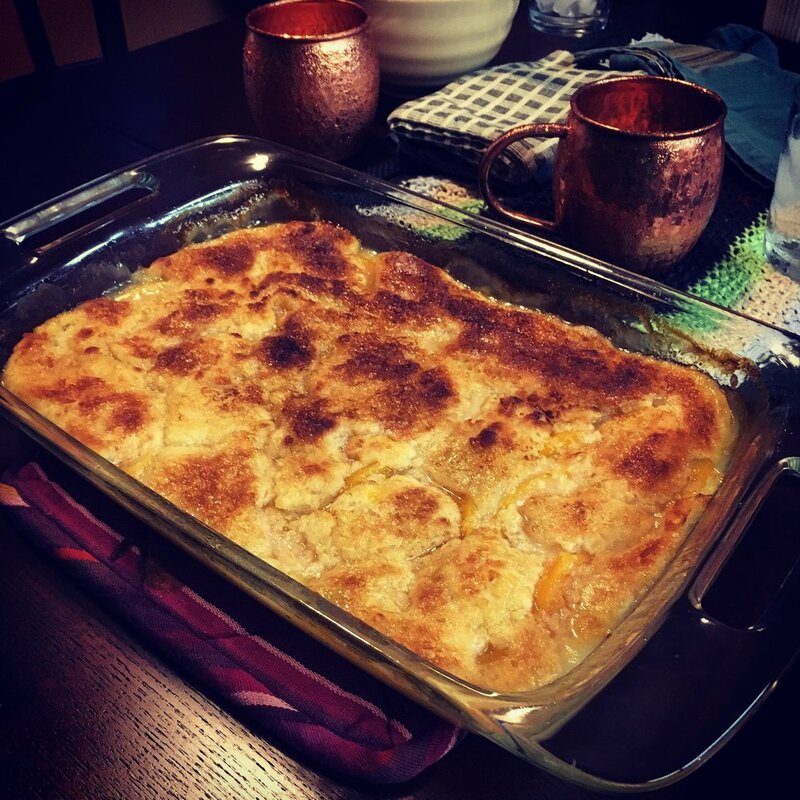 And I brought Momma’s peach cobbler, always a hit. It was a wonderful evening with good friends, and Mom's presence was definitely felt — and missed. With a full stomach, a warmed heart, and a bucket of blueberries in tow, I journeyed home, but not without stopping first at a picturesque roadside lookout. 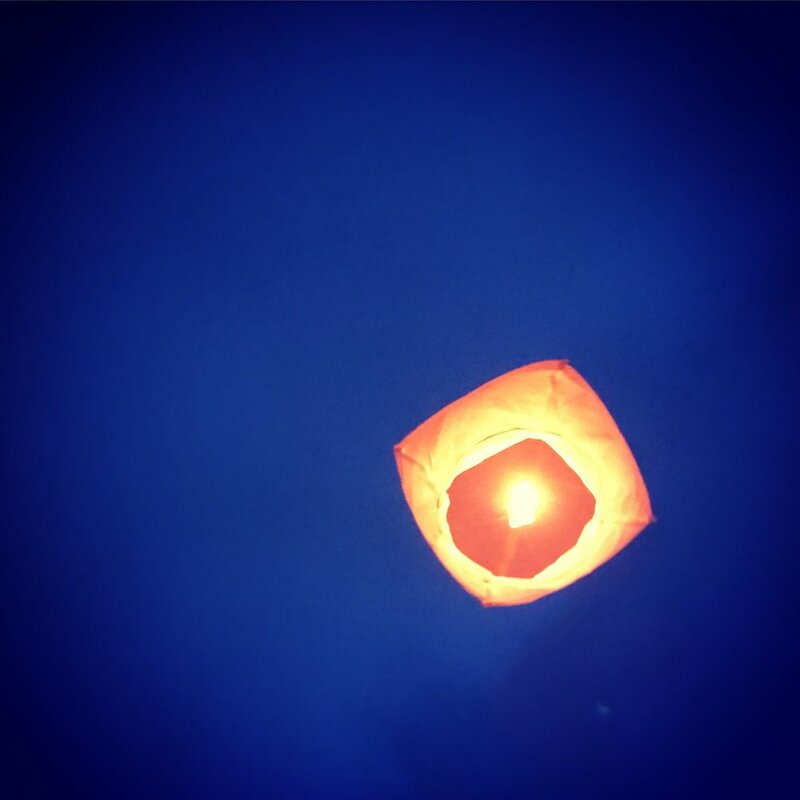 It was time to put into motion the second part of this newly planned tradition — sending off a sky lantern. After pausing to pray, I lit the sky lantern and sent it off while singing “Happy Birthday” to Mom. It was that one of the hardest things I've ever chosen to do. But I made the choice, the choice to take a moment to remember her and celebrate her and to know without a doubt that she was watching. 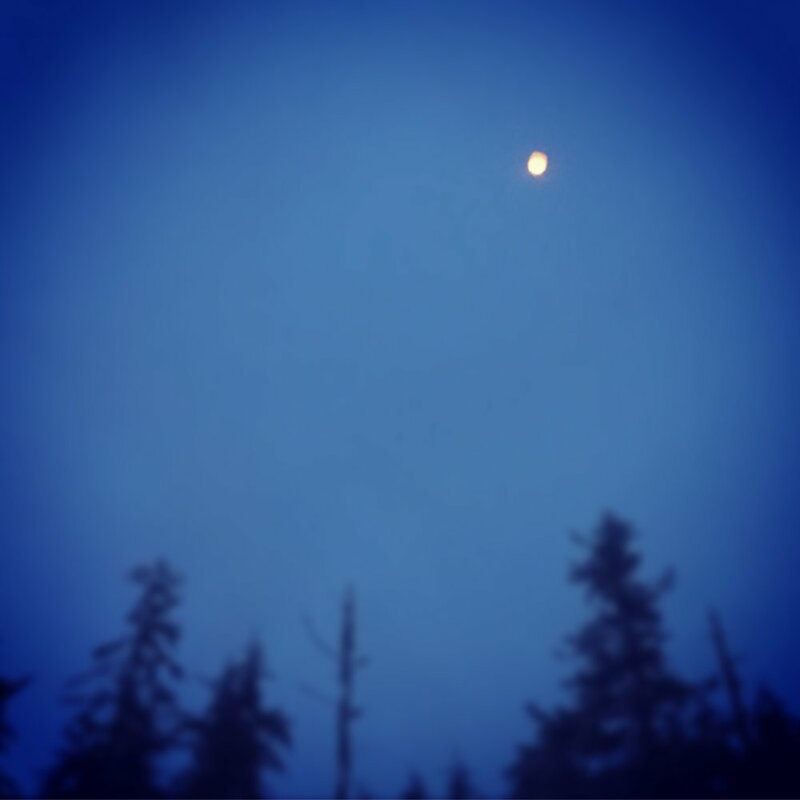 The night sky was starless, blanketed by thick clouds, an opaque backdrop as the lantern floated up to the heavens. That paper sky lantern, fragile as it was, brightened up my dimmed horizon. And I finally felt at peace, for the first time in a very long time.